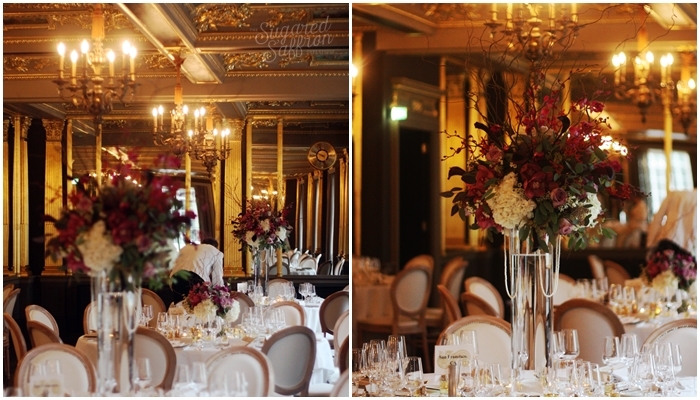 We had the absolute pleasure of working with an amazing couple who were married at Hotel Café Royal in London. 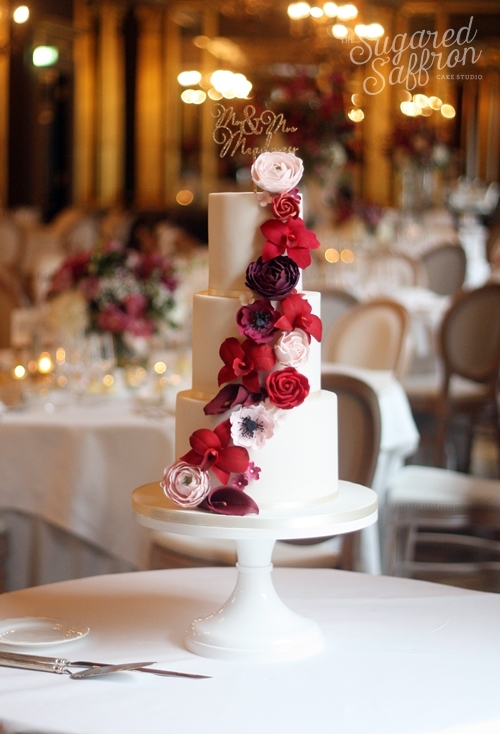 The stunning bride got in touch with some gorgeous ideas for her wedding cake. All with quite structured flower arrangements, some fresh and some sugar ideas were thrown around but sugar won in the end. 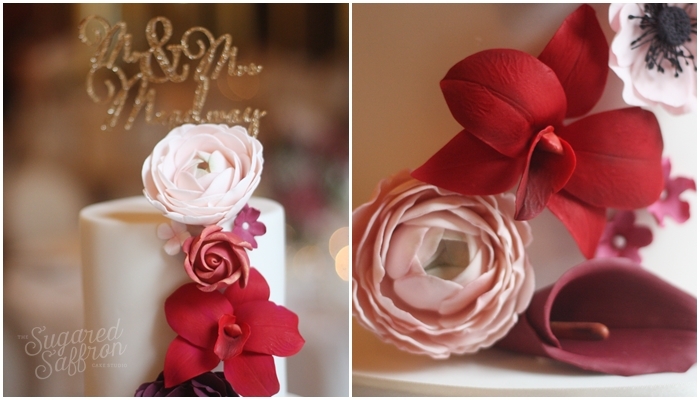 Dendrobium orchids, ranunculus, anemones, calla lilies and some roses were chosen to be re-created in sugar. 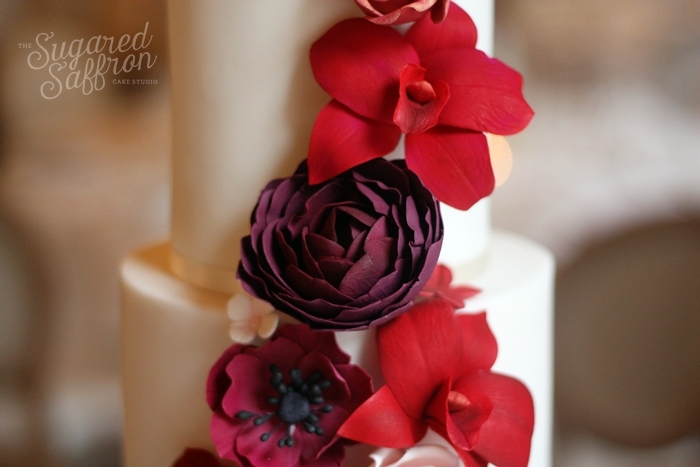 The colour palette was dark red and burgundy with a touch of light pink. 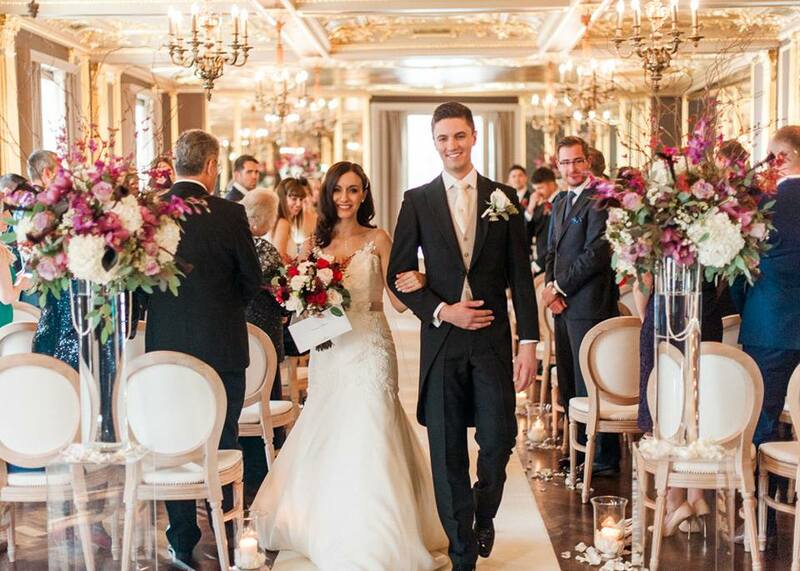 The wedding itself was full of gorgeous detail, and Hotel Café Royal was full of all the glitz and glamour you’d expect at a Mayfair hotel. 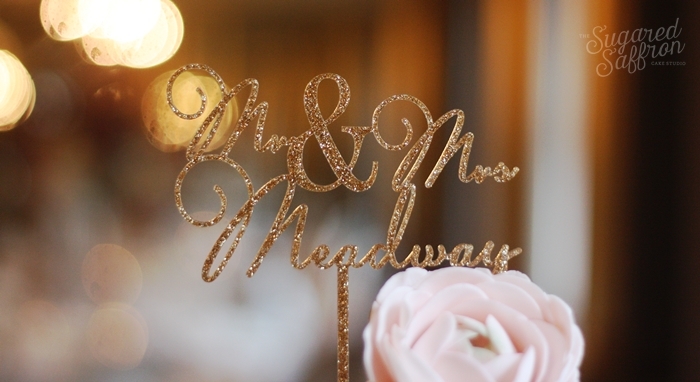 This glittery topper was purchased by the couple from cake topper extraordinaire, Miss Cake! The following image is from the couples professional wedding photographer, the very talented fine art photographer Kate Nielen.